By challenging students with high academic standards and expectations for achievement through innovative programming and instruction, enhanced by the delivery of a full array of social, emotional and developmental support systems. Through a never-ending school, home and community commitment to character based on five core virtues: respect, responsibility, caring, honesty, and healthful lifestyles. The District utilizes a 5-year strategic management plan, last revised in 2014, called the Plan for Excellence. This plan contains the Vision and Mission Statements for the District and an annual Management Plan. In 2018-19, the focus is on implementation of the 2018-2019 Management Plan of the 5-year Plan for Excellence. This includes initiatives in the areas of Educational Excellence, Student Life, Employee Life, Stewardship, and Communication, Community & Tradition. Work will continue on implementation of new and/or modified curricula related to the New York State Common Core Standards of Learning, as well as continued streamlining of evaluation activities related to teacher/principal professional performance review (APPR). Extensive technology use, including individual Chromebook devices for each student in Gr. 1-12 for 2018-19. Ipads for students in Kindergarten. A range of academic and support services aimed at early identification of academic issues. 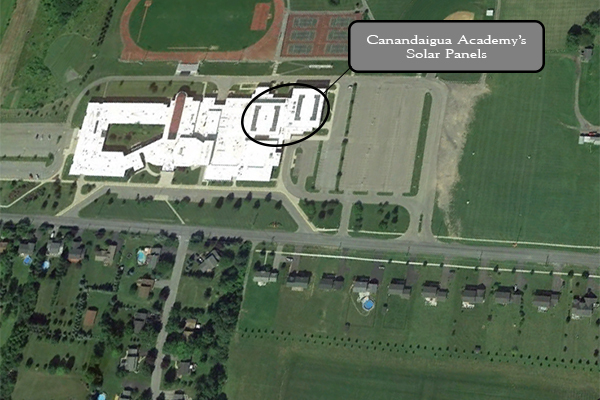 The Canandaigua City School District encompasses 88 square miles around the north end and west side of Canandaigua Lake, including the entire City of Canandaigua. The boundary zigs and zags a lot, based on property lines. If you are considering moving here, don't forget to check with us at 585-396-3725 to make sure a particular address is within the district. With few exceptions, you must be a resident of the district to send children to us. 1,895 are boys; 1,729 are girls. 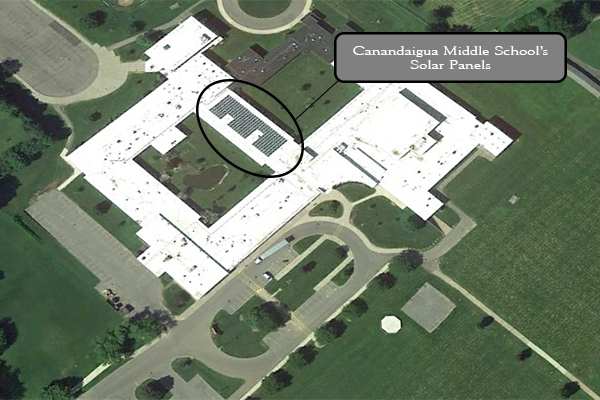 In 2012, the Canandaigua City School District utilized a NYSERDA grant to fund a solar energy capital project. 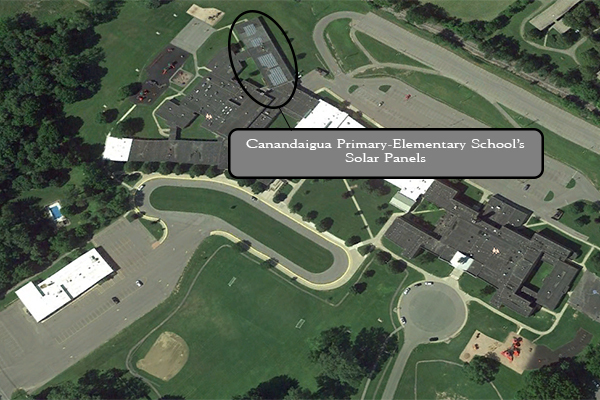 This project consisted of the installation of solar panel arrays on the roofs of three school buildings -- Academy, Middle School and Primary School. The energy produced by these panels is fed directly to each building’s electrical panel, reducing each building’s draw on the community electrical grid and lowering the District’s overall costs for electricity service.